After a slow start I had expected a return to a normal August, but the weather hasn’t been kind. We did have was a return to default August weather, which, although good for replenishing the ponds, has meant I haven’t been out anywhere near as much as I’d like to. On those days I have been out it’s been exceptionally quiet. 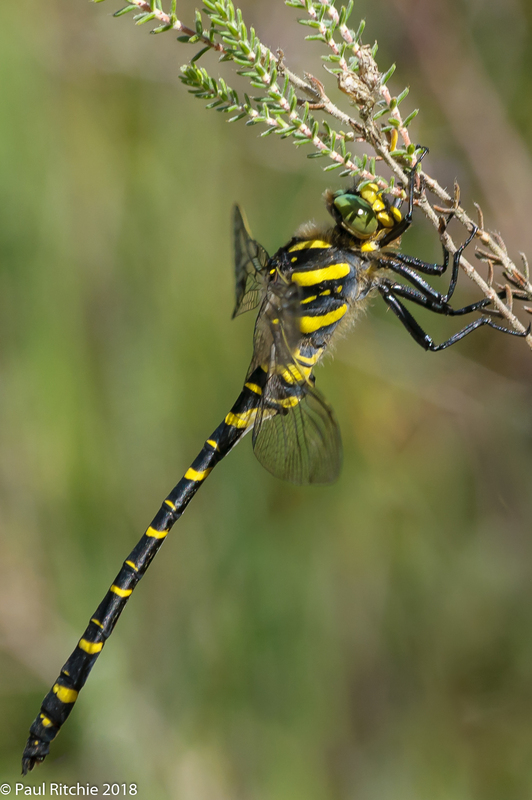 During mid-August there are usually a bevy of Migrant, Brown, a few Southern and even Common Hawkers to observe feeding along the treeline, but the numbers are well down. Thankfully the sight of a Golden-ringed taking time out is always appreciated. A fine summer of endless sun and plenty to get stuck in to has probably exaggerated matters. It feels more like September when you expect a dying down of activity. 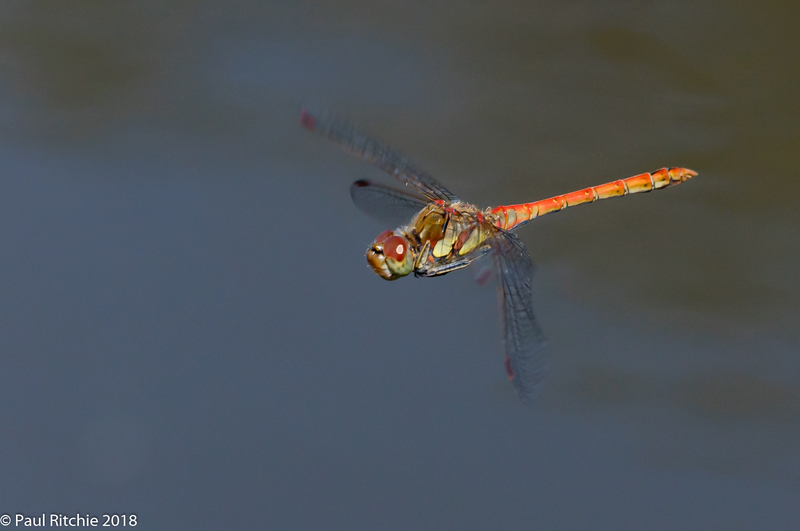 Perhaps the most surprising is the lack of Common Darters. I guess we did have too much of a good thing and now it feels like the great hangover. The last time I had a chance to look at Ramsdown the water levels had increased a little, allowing some moments of joy after many moments of waiting. A day of ‘sunny intervals’ means a few hours waiting for an celestial appearance, and does make you appreciate those moments when everything comes alive. Bank Holiday predictably brought forth a proper deluge, and I’m looking forward to a return in some decent pond activity. Until then I’m grateful for those special moments. It’s been a very slow August so far; in part attributed to a major change in the weather and the effects of the long, hot dry spell we’ve enjoyed for the past few months. 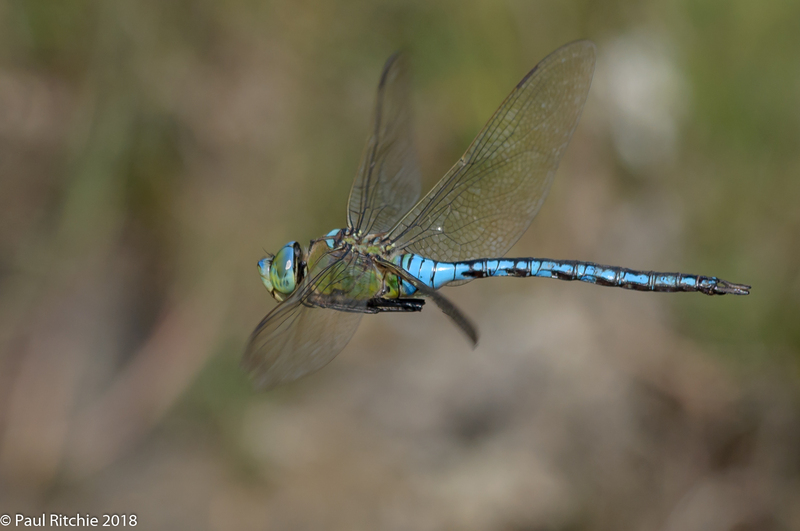 Having encountered all non-migrant local species with the elusive Moorland Hawker now is the time to relax and choose a few special ponds for observation and indulgence. Except these ponds have disappeared completely or dried out to puddles barely enough to cover your feet. 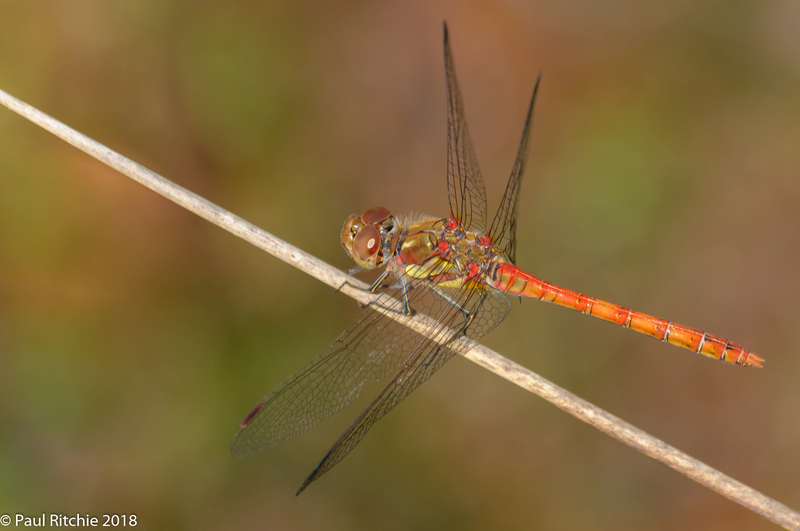 Not a problem for the hardiest species such as Common Darter and Common Emerald, or indeed a solitary Emperor holding on in hope a female may visit. The Emperor has been around since May and most individuals encountered are tired and tatty. 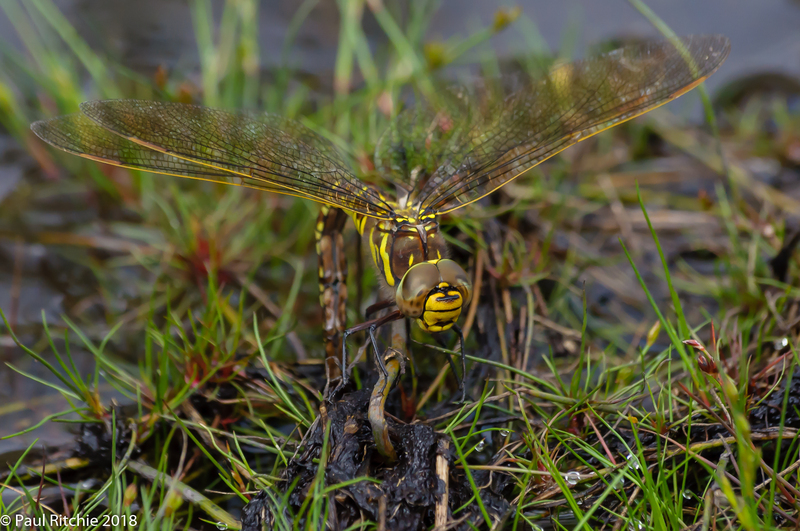 Time to move over and give up the territories to the late summer hawkers; a Southern has no problem with puddles, but would rather avoid unnecessary conflict. 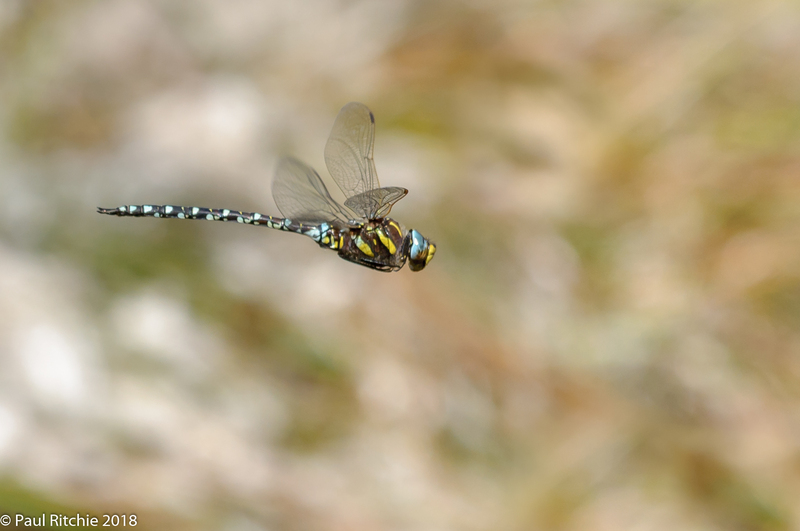 The Moorland Hawker is another who doesn’t tolerate other hawkers (except it’s own in certain places with high populations) and will happily take on an aged Emperor. The sight of a high-flying Moorland coming in to scan below is always a welcome sight in the New Forest. Even better when he decides to come down and patrol a while. 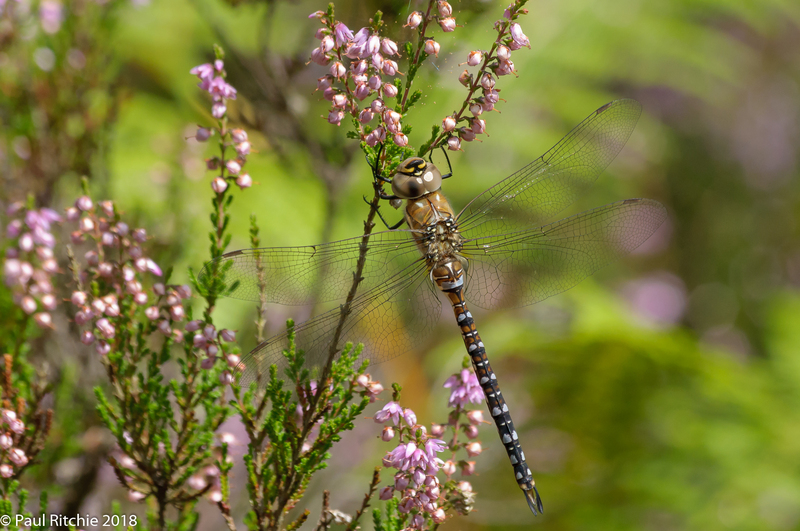 Most of the Migrant Hawkers are immature and shyly shoot off with minimal disturbance from their roost of gorse and trees surrounding favourite feeding grounds. They’ll settle down once they mature and provide the easiest in-flight opportunities of them all. By the time I reached Ramsdown the sun put in a very brief appearance with the majority of activity centered around the hill pond, which is deep enough to have survived the drought. 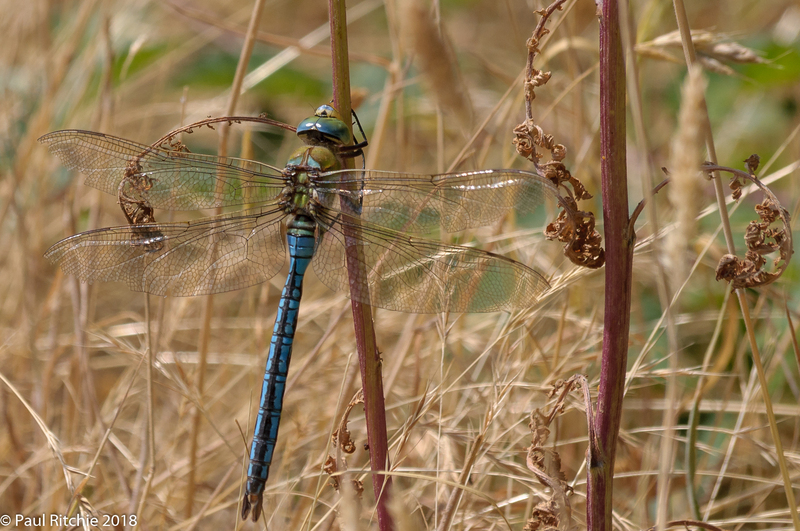 The showers we had last weekend weren’t enough to effect the driest heath ponds, however now we’ve had some more rain I’m looking forward to seeing if the ponds have recovered enough to offer some late summer enjoyment. 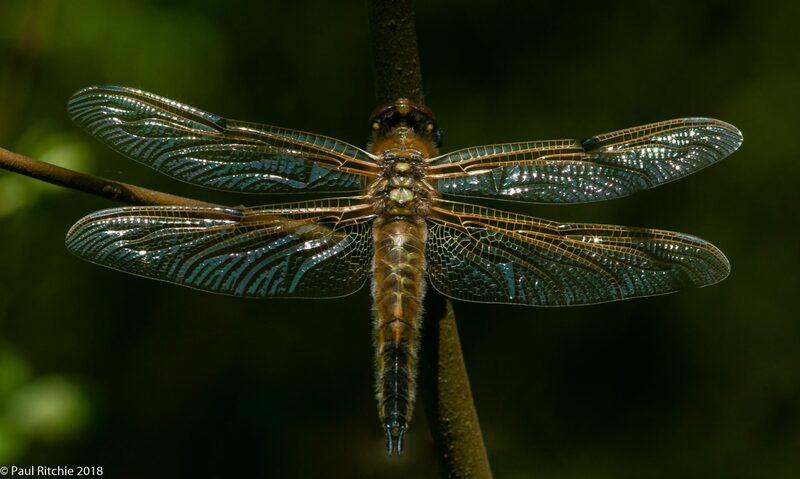 This European heatwave has been a blessing to dragonfly enthusiasts with perhaps the best activity we’ve seen for many years. We had a warning back in Spring with the late start and a bounty of early emergencies across the board. At first excited for the pleasing bounty I remember being a little concerned as if the odos knew far more about the coming season than we could possibly predict. They knew when the time was right; get out early and live their lives while they could. Three months of exciting and exhausting action to sink our teeth into is showing signs of slowing down considerably, the reason being the lack of water. 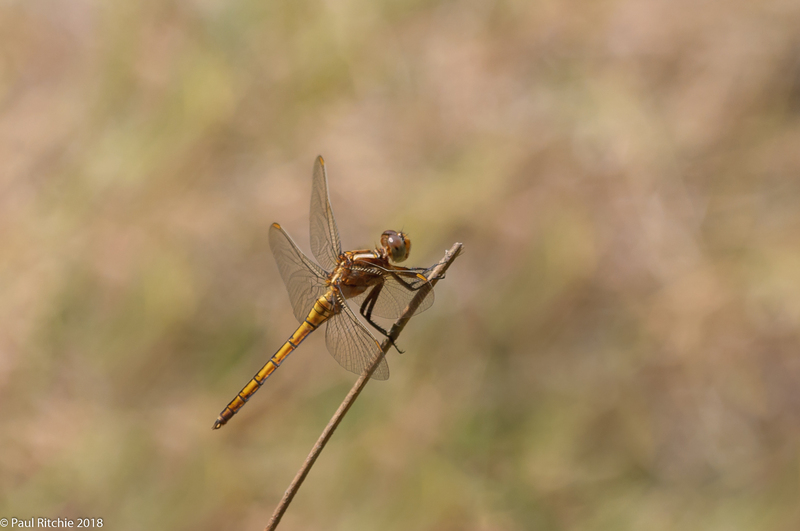 Most of the ponds are dry and even some streams have stopped flowing. The surrounding heather hadn’t had the chance to fully bloom before before succumbing to the heat. Elsewhere lush meadows now a sea of hay which is at once beautiful and dangerous. Tinder dry with many fires breaking out. Mother Nature’s way of clearing out the cobwebs and starting afresh? 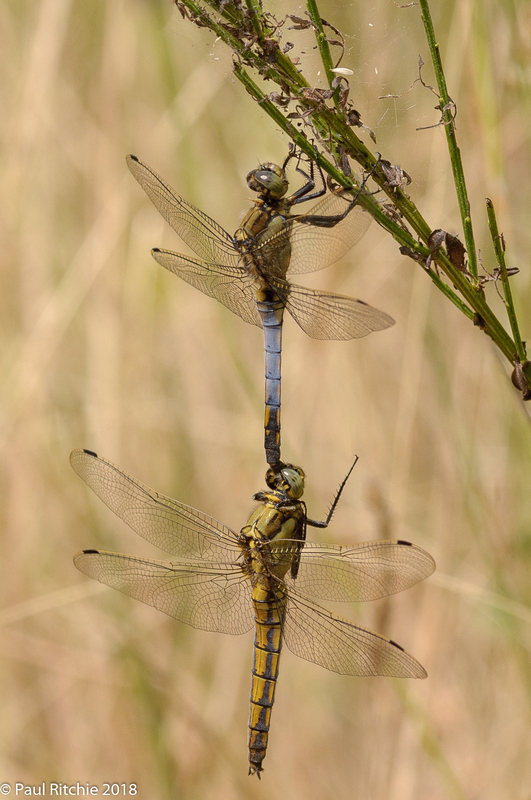 Despite the worrying state of our meadows they do provide a pleasing backdrop for photography. Crockford has been simply fantastic this summer, but has now peaked. 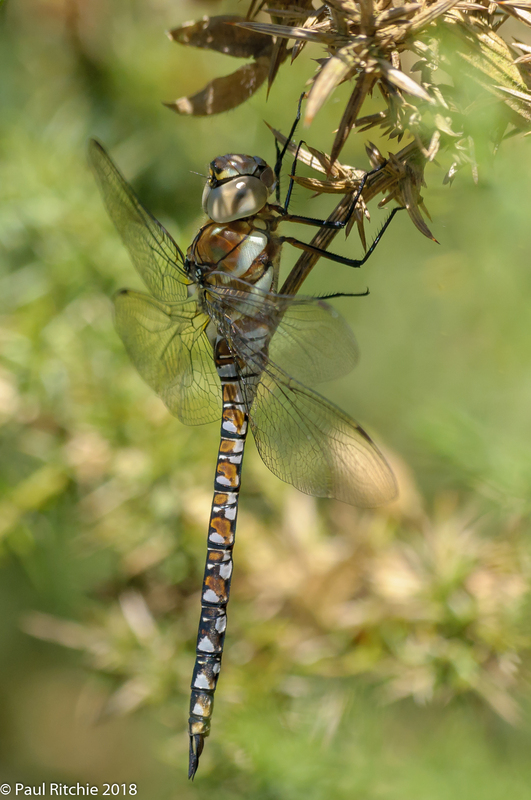 A visit during the week found very few Southern and Small Red damselflies, a sprinkling of tired-looking Keeled Skimmer and a few rather battered Golden-ringed. 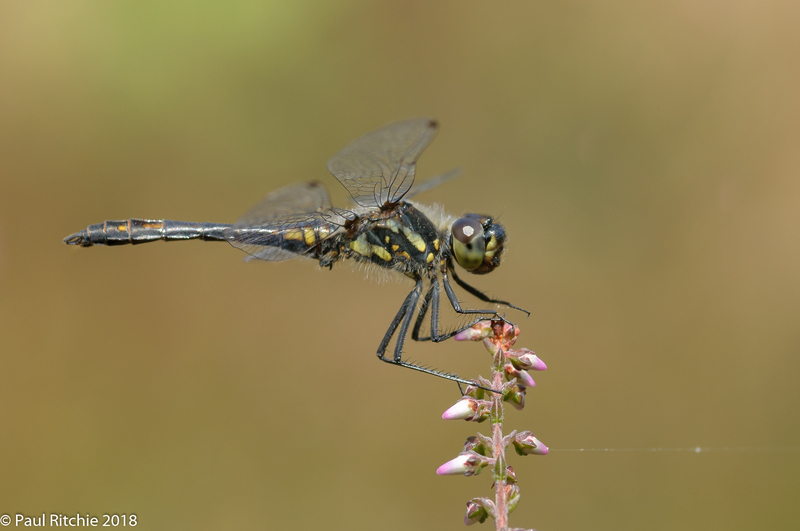 The shallow ponds on the heaths of Town Common frequently dry out and recover but without frequent showers their surfaces are dry and crisp, the Black Darters having to seek out other options further afield. 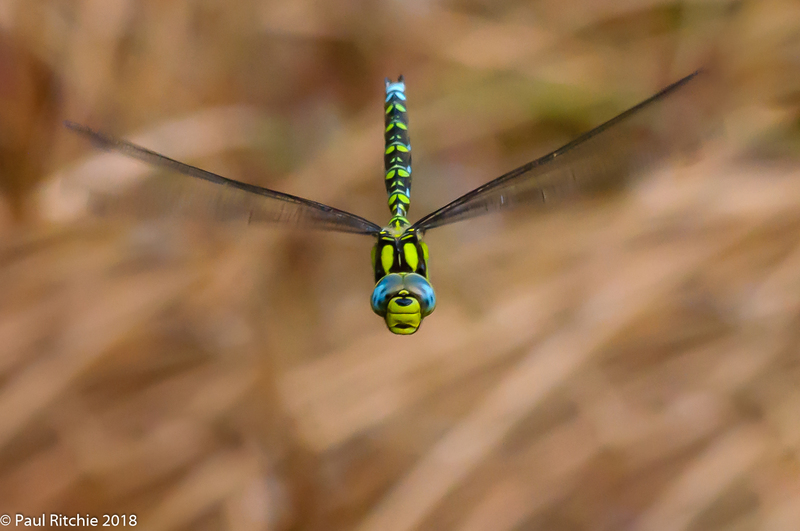 Hawker Season is already upon us with Migrant Hawkers gaining numbers and feeding up rapidly among the woodland rides. 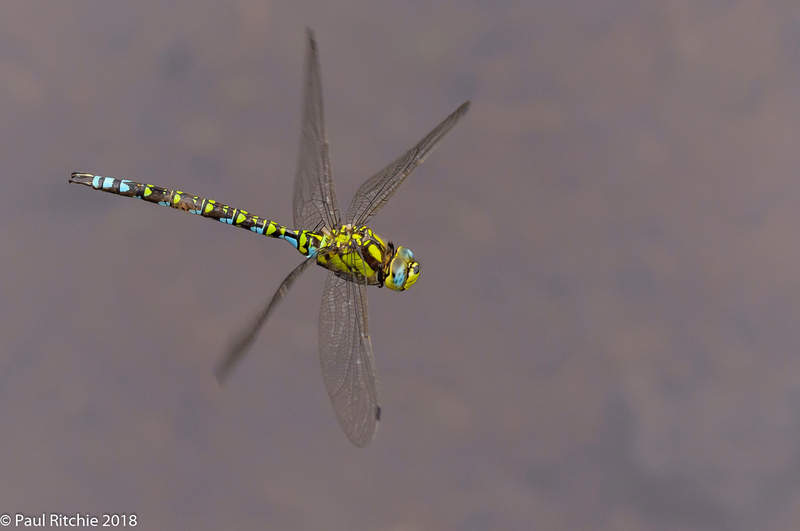 Southern and Moorland Hawker are starting to patrol the remaining puddles, and therein lies the problem. 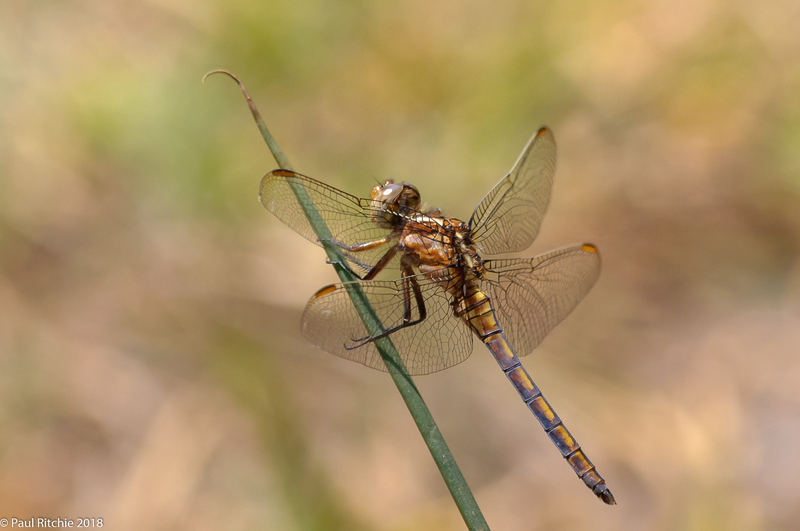 A brief respite from the parched conditions with a good lashing of rain last weekend helped replenish a few pools just enough to kick-start some activity but after a week those few pools have returned to puddles. So far this August pickings have been slim and I’m having to choose wisely, resisting the urge to travel too far in fear of wasted fuel and time, preferring to remain local where there should be enough to satisfy. 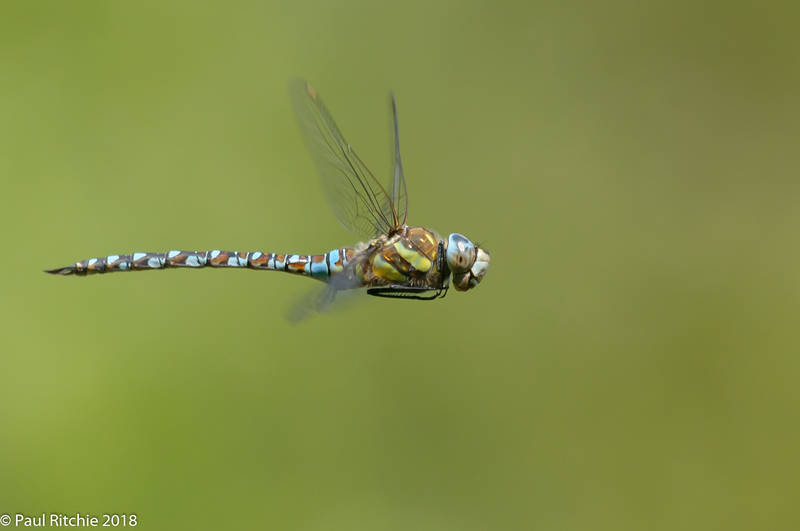 Seeking out places where a profusion of feeder insects bring in the feasting hawkers. 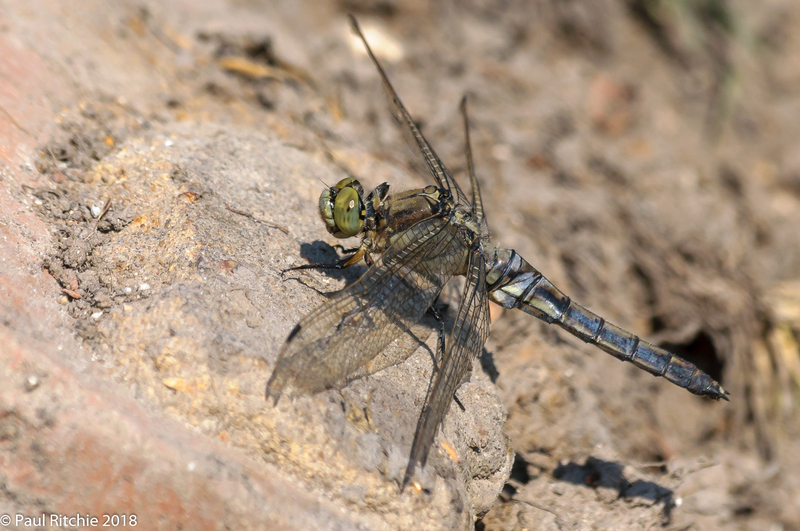 Choosing those areas which retain some water; the larger, deeper lakes and ponds. The constant flow of fast-running streams which contain some pools where the hawkers can patrol. Mostly though I’m hoping for a few more downpours to replenish those ponds which offer a chance to just sit & watch without walking too far in these hot, parched dog days of summer.